On Cloudrush Reviewed - To Buy or Not in Apr 2019? When it comes to running shoes, there are two major philosophies that dominate the design process. One is a jack-of-all-trades style of footwear, where the aim is to design a product that will offer high versatility and the widest possible appeal. The other style is a highly specialized one, where a shoe is extremely competent in one facet of running but mediocre in many others. Both designs have their merits but the On Cloudrush was clearly designed with an eye for specialization. As a flat racing shoe, the technology implemented by On into the Cloudrush was designed to provide speed, performance, and flexibility at all costs. The On Cloudrush’s outsole showcases one of many impressive technological features from this radically innovative manufacturer. 18 different rubber elements picked for their high responsiveness and abrasion resistance were used to form the Cloudrush’s CloudTec sole. As its name implies, this specific underfoot design and construction is intended to offer a level of soft comfort equivalent to an airy cloud. At the same time, this crucial component of this racing shoe provides extremely high responsiveness and flexibility, making them perfect for speed-focused running activities such as sprinting. Something that is immediately apparent when trying on these racing shoes is that the midsole is incredibly thin. On refers to this portion of the Cloudrush as a Speedboard, stating that its main design feature is accommodating a dynamic stride. In layman’s terms, this means that the Speedboard is adaptable to many different running styles. On utilized some impressive design tricks to accomplish this with such a thin amount of material, including a few coin slots in the heel and several smaller divots toward the forefoot. Less is more in the eyes of On, but some customers may feel differently if they attempt to wear these shoes for longer running sessions. Perhaps the most interesting feature of the On Cloudrush’s upper is the way in which it supports a runner’s foot. After observing the effectiveness of tape on a runner’s foot, On designed their upper to provide a similar level of targeted foot compression. Aside from this noteworthy design choice, this section of the Cloudrush can be distinguished from ordinary running shoes by its incredibly thin and lightweight mesh construction. This has a fantastic effect on the shoe’s weight and breathability but it does leave some runners suspicious in regards to its durability. As previously mentioned, the very thin mesh fabric upper helps to keep the total weight of this shoe very low at around 8 ounces. This is part of what makes the On CloudRush so effective as a racing shoe; the other facets of its design that contribute are the Speedboard midsole and CloudTec outsole. Breathability is also a significantly diminished concern since the chances of a runner’s feet getting too hot is low. While all of these features are fantastic, some unfortunate downsides of this shoe weighing so little is its greatly diminished durability and cushioning. One of the strongest features of the On Cloudrush, when compared to just about every other running shoe and racing shoe on the market, is its breathability. In the pursuit of top marks, On sacrificed durability, comfort, and general foot protection in order to make their upper out of a wafer-thin mesh fabric. While this means that airflow is not an issue, the secondary effect of this design is the incredibly light weight of the entire shoe. Consequently, this means that the need for such amazing ventilation is lessened since significantly less effort is required to move while wearing these shoes, resulting in less heat and sweat. The best way to describe the On Cloudrush’s comfort is to say that it is Spartan. This means that it is extremely stripped-down with a barebones design; little thought was given towards providing comfortable cushioning. This is sure to dissuade many runners who are accustomed to a more insulated ride, but those who care about shaving milliseconds off their 40 yard dash time will appreciate the sacrifice. This isn’t to say that no comfort is felt at all while wearing these shoes, simply that it doesn’t take the form of cushioning. Instead, comfort is derived from high responsiveness, a tight fit, and a fantastic ergonomic design that replicates the effectiveness of foot tape. Products made in Switzerland are known for two things: high quality and a fantastic style. Whether it’s chocolate, knives, or the On Cloudrush, both of these features are prevalent in their design. You would be very hard-pressed to find any other running shoe that looks like this one. Even brands known for their fantastic sense of style such as Nike can’t hold a candle to the Cloudrush. Individuals looking to turn heads during their daily jogging sessions should look no further than this running shoe. Although no extra color schemes are available besides the stock black and white, no extra color is needed to make these shoes look extremely visually appealing. 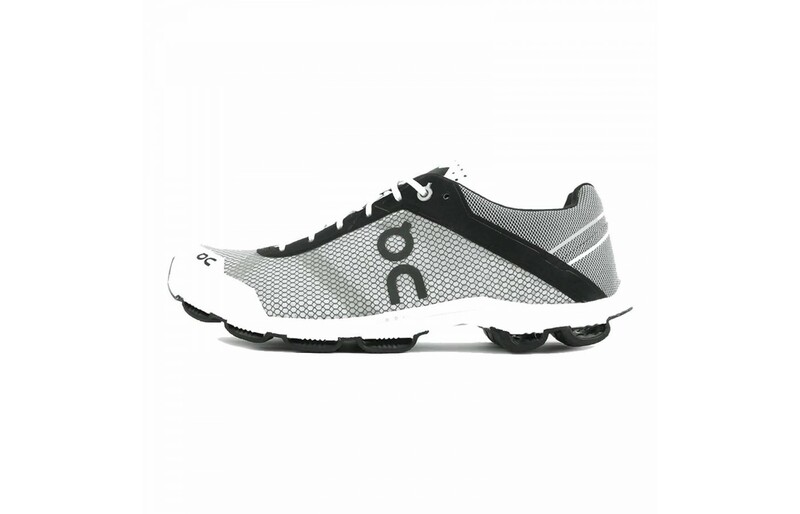 As a racing shoe, the On Cloudrush was designed for very specific environments and scenarios. In these controlled situations runners should expect the same level of durability as most other racing shoes. However, attempting to use these as casual running shoes will reveal a significantly less impressive durability to many competing models. All of the features present in this shoe’s design that make it so lightweight and aerodynamic come with the consequence of an increased fragility. For that reason, runners are advised to only use these shoes for very short running sessions on man-made running tracks. In addition to being significantly less durable than some runners may prefer, these running shoes from On also offer a much lower level of foot protection. This is most apparent in the midsole; where most running shoes would use a much thicker design incorporating dense cushioning like EVA foam, the Cloudrush instead uses a wafer-thin Speedboard. This portion of the shoe does live up to its name and provide amazing speed but it doesn’t offer a very good line of defense for a runner’s underfoot. Fortunately, On did add one design feature for the purpose of protection in their upper, which was modeled after traditional foot wrapping techniques in order to prevent running injuries. This is the number one reason why a runner would want to purchase this shoe, hands down. Thanks to the On Cloudrush’s lightweight construction, highly energy-efficient CloudTec outsole, and cutting-edge Speedboard midsole, this is one of the most responsive racing shoes money can buy. Runners wearing the Cloudrush can attack the track with the full force of their body safe in the knowledge that their running shoes are keeping up with them every step of the way. Sprinters looking to beat their personal record will want to get these shoes since they are designed to accentuate their natural abilities. Some amenities have been made in regards to support on the upper portion of this shoe. As previously mentioned, the skeletal structure of this thin and breathable upper portion was designed to emulate traditional foot wrapping techniques to ensure a tight yet supportive fit. The underside has been supported to a degree as well because the CloudTec designed outsole works to provide compensation for foot impacts. However, the midsole is conspicuously absent of any supportive features, instead focusing on delivering higher responsiveness. 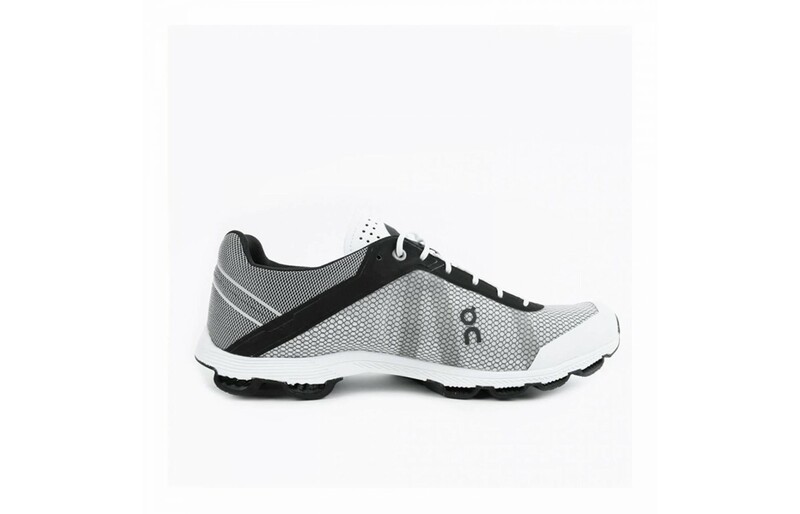 Due to the highly specialized design of this running shoe, the On Cloudrush works exceptionally well on a few running environments and is terrible on the rest of them. For starters, understand that running on any sort of trail or hiking path is completely out of the question. Even the tamest dirt path is a bad idea since these shoes really aren’t very durable at all. Roads and sidewalks might be safe running environments, provided that running sessions are kept very short. The type of terrain these shoes were specifically designed for that allows them to demonstrate their full potential is an Olympic-style running track. On these highly controlled surfaces, runners can reach top speeds that may have previously been considered unreachable. Based on the highly specific scenario where these shoes are effective, many runners are going to be discouraged from purchasing these shoes from the get-go. However, once the remaining runners see just how much they cost, even more of them are likely to reconsider. While not the most expensive pair of shoes on the market, these are definitely in the higher echelon of pricing for racing shoes. Due to the highly specialized design and the fact that they were made on the other side of the world, runners will have a hard time finding any significant discounts through alternate retailers. However, runners who understand the limitations of the On Cloudrush and decide to pick up a pair anyway will not regret their decision since they certainly do deliver. 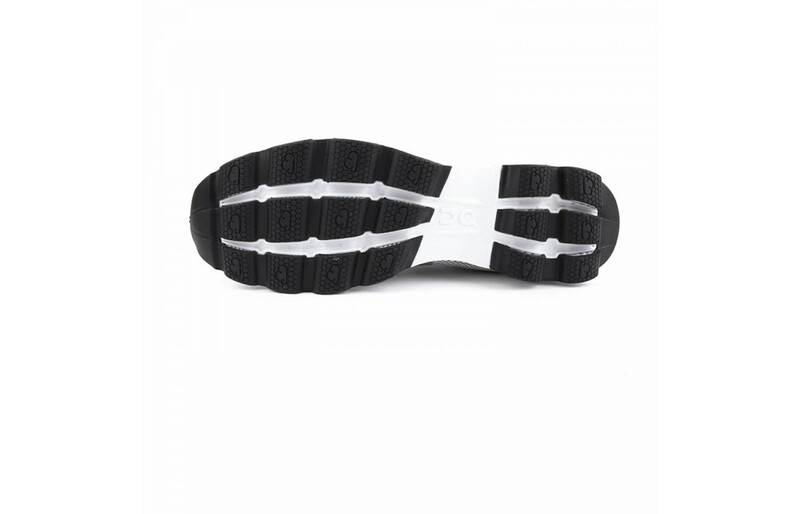 Thanks to the particular design of the On Cloudrush’s CloudTec outsole, a decent amount of traction is present when running in these shoes. In addition to offering an excellent return on the energy expended by a runner’s stride, the design features several deep ridges that give the appearance of large teeth. This is radically different from the typical lug design seen on some heavier running shoes and trail shoes but it functions in a similar way. While this may inspire some runners to attempt using the Cloudrush on more demanding running surfaces, it’s important to keep in mind that these shoes aren’t durable enough to take full advantage of this design feature. In order to provide runners with the top speeds needed for a racing shoe, the On Cloudrush has just enough flexibility to get the job done without a loss of control. The primary source of this controlled pliability is the Speedboard used as a midsole. This key component of the Cloudrush was designed to provide excellent responsiveness through controlled flexibility, but enough stability is still present around the heel and forefoot to prevent slippage. Since these racing shoes weigh so little, they aren’t quite as stable as some of the heftier running shoes on the market. The upper and midsole of the On Cloudrush are very thin, so the amount of flexibility present in their design can negatively affect runners who need extra stability in their shoes. For that reason, runners who have problems with overpronation will need to find a different pair of shoes or address their gait abnormalities before using these to their full potential. However, the foot wrapping style of the Cloudrush’s upper portion and some design features of the Speedboard midsole do help to provide a modicum of stability. The heel drop of the On Cloudrush is 5 mm. This is much less than the average heel elevation found in traditional running shoes but is still greater than some of the more neutral-footed shoes such as road runners and trail runners. The slight increase in heel cushioning, mostly found on the outsole, helps to mitigate some of the stress that can occur from repetitive heel striking that is common among runners. However, this is not something that runners should rely on when using these shoes. Instead, the lower elevation is present so that runners adopt a more efficient and naturalistic stride since other features of the Cloudrush were designed to accommodate these techniques. Many runners will likely want to purchase a pair of these running shoes based on their style alone. Aside from a few offerings from Under Armour, no other companies are designing shoes with quite the same futurist aesthetic. However, not all that glitters is gold; runners will quickly realize this fact if they try taking these shoes on the road for a daily jog. The On Cloudrush is a glass cannon in the sense that it offers tremendous power at the cost of high fragility. For that reason, the individuals best suited for these shoes are track runners and sprinters looking for some racing shoes that can help them break some records.